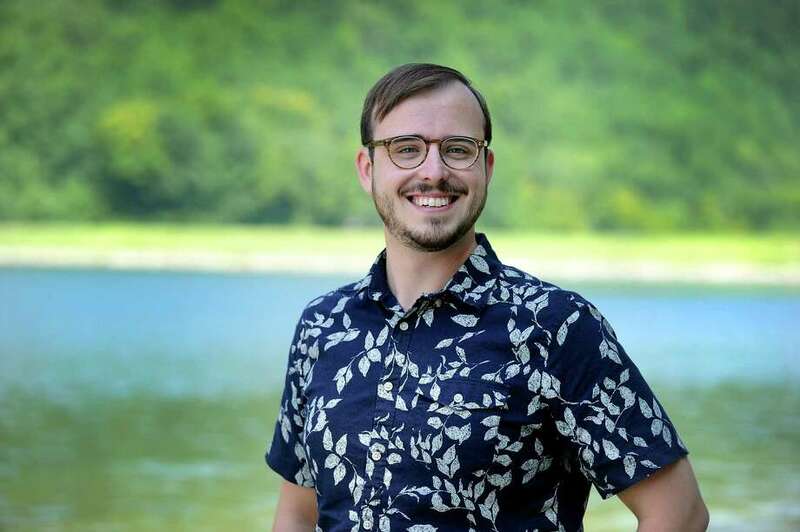 NEW MILFORD — Candlewood Lake Authority’s newest staff member may have grown up hundreds of miles from the shores of Connecticut’s largest man-made lake, but he is no stranger to the issues the body of water faces. Neil Stalter, who started as Candlewood’s director of ecology and environmental education this week, said it didn’t take long to realize how well his own upbringing on Conesus Lake, one of The Finger Lakes, fit with his new job. Just as with Candlewood, the Conesus Lake association Stalter worked with before heading to college dealt largely with preventing invasive species from entering the water. His time working with the association, both against invasives and helping with water quality testing, inspired him to earn a bachelor’s in ecology and evolutionary biology at the University of Rochester. The 23-year-old then completed a masters degree in environmental science and policy at Columbia University. He said when he stumbled upon the position with the Candlewood Lake Authority it seemed like the perfect fit to combine both his science and outreach background. The authority’s human resources committee, and eventually the full board of delegates, agreed. The position, created a few months ago, will combine overseeing organization’s science initiatives, such as water quality tests, and helping reach the public. Executive Director Mark Howarth said Stalter’s scientific knowledge, experience working on a lake and his ability to write for public outreach appealed to the authority. Stalter was chosen from a slate of about 30 candidates who applied for the job, six of which had phone interviews and three of which were interviewed in person, said Administrative Coordinator Frances Frattini, who was on the human resources committee. The director of ecology and environmental education is a new position that was created after the board hired Mark Howarth as executive director. Howarth was formerly the director of education and outreach. The new role is meant to fill the science responsibilities of the staff, previously taken on by limnologist and former Executive Director Larry Marsicano. So far, Stalter has tackled writing a proclamation to designate a New Jersey lake as Candlewood’s sister lake and wrote a memo about the most recent water quality tests, which he said will become a monthly practice so residents have an accessible way to learn about the test results. His next projects will likely be helping with the authority’s shoreline management and using his hydrology background to examine where run-off is coming from when it enters the lake, Stalter said. He added that he is most looking forward to immersing himself more into the lake community.